The Farm Holidays “Costiera Amalfitana” is placed in Tramonti, a village in the heart of Amalfi’s Coast. Tramonti (with Amalfi, Positano, Ravello, Maiori, Minori, ecc.) is one of the thirteen villages which form Amalfi’s Coast (World Heritage of U.N.E.S.C.O. ), and it is also the only village which is still tied to country traditions, tho natural rhithms, to the flavours and perfumes of a time. 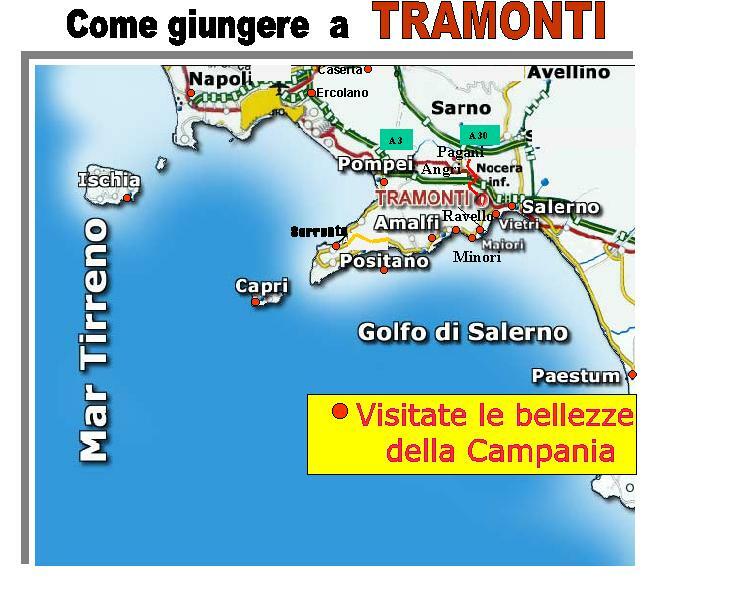 Thanks to his great territory, tramonti rappresent an enormous green reservoir, for all Amalfi’s Coast, since it has a very thick vegetation, full of old chestnut. Trees, vineyard from which the good wine D.O.C. “Costa d’Amalfi” is produced, and lemon trees from which the “Sfusato Amalfitano” I.G.P. with the name of “Limone Costa d’Amalfi” is produced. To swim the tourist will have only the embarassment of choosing: Maiori, Minori, Amalfi, Ravello,. Positano, ecc.